Encoruage attacking players to dribble and beat players at full speed. If defender wins it, play ball into opposite goal. 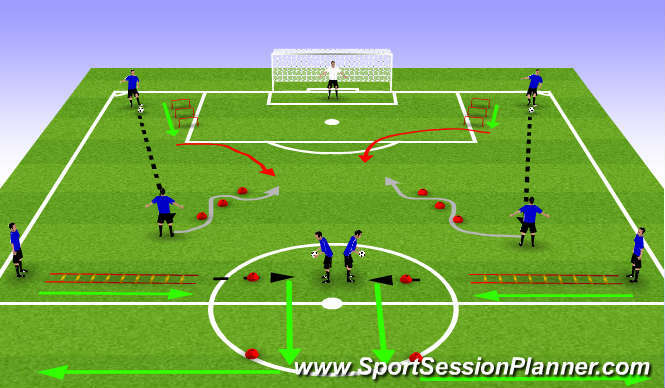 Game starts 2v2 to targets and progress to 4v4 to targets. Start 3v3 to goal. Always attack and then defend. Push the players to get immediate pressure on the ball after they attack. 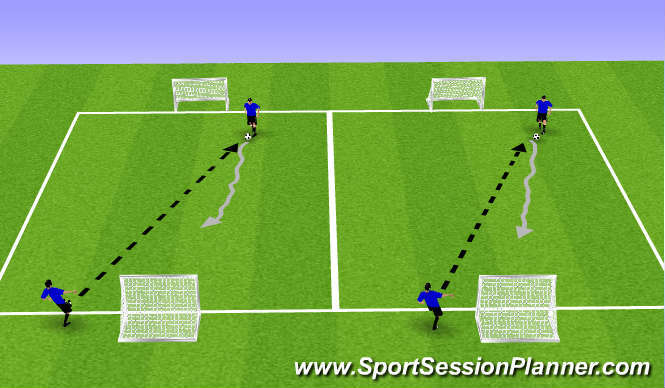 Push players also to pressure and delay to regain numbers behind the ball.